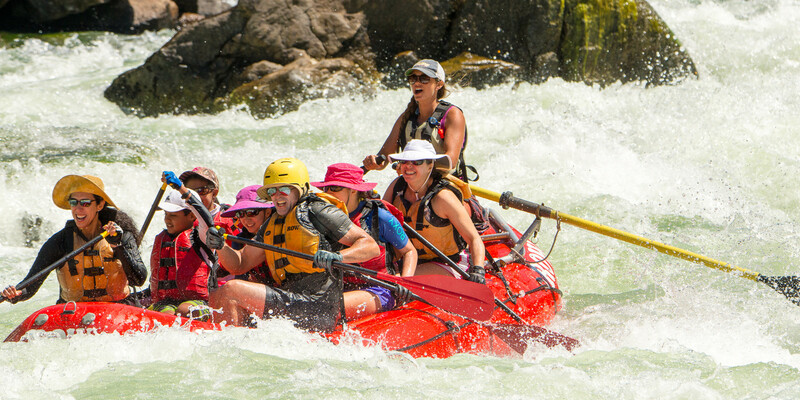 ROW seeks to hire a motivated, organized, self-starter to coordinate the logistical support for ROW's Middle Fork of the Salmon River rafting trips. Based out of ROW's warehouse in beautiful Salmon, Idaho, this position includes a wide variety of responsibilities, close team work with a fun-loving guide staff, and the opportunity to live in and explore a beautiful part of Idaho. The Wizard shops and packs the trip food, drives shuttles, takes care of vehicles and grounds, maintains the souvenir retail supplies, coordinates communications with the main office, maintains finances, coordinates other logistical support as needed and is a general all around magic-maker. This is a full-time, salaried, seasonal position which begins late May or early June and lasts into September. Housing is provided. The position requires one night a week camping in beautiful high montane forest at the put-in for the Middle Fork. Days off each week provide opportunity to explore the rivers, mountains and hot springs near Salmon. Other benefits include the opportunity to raft the Middle Fork or another river ROW guides once each season. If you're interested in working in the adventure travel industry and can work effectively without close supervision, apply to join our team! Coordinate the operations of ROW's Salmon Warehouse in a manner consistent with all ROW operations and established protocol and procedures. Work with the Middle Fork Manager and guide staff to coordinate equipment and logistical needs for each trip and to assist with pack-ups and de-rigs. Shop and pack food for each trip according to menus and trip logistics. Drive heavy duty pickup and trailer filled with guides and equipment to all put-in and take-out's. Responsible for keeping ROW retail items organized, inventoried and stocked. Implement recycling and sustainability program as directed by Middle Fork Manager. Operate within budget and maintain local checking account, including tracking all expenses as directed by ROW's bookkeeper. Serve as the main liaison with the ROW office and Director of Operations when Middle Fork Manager is on the water. Communicate, distribute and post, as needed, rosters, schedules, special guest needs, etc and make sure that the appropriate people see them. Assist in equipment transfers, shipping or receiving of retail items, etc. Maintain a professional relationship with and act as the official ROW liaison with suppliers and local vendors including hotels used by our guests. Responsible for repair and maintenance of raft trip related or other equipment as assigned by the Middle Fork Manager. Responsible for organization of warehouse and basic upkeep of warehouse facilities and grounds, such as watering and mowing lawn. Responsible for regular, basic maintenance, upkeep and cleanliness of vehicles and trailers. Coordinate larger maintenance needs, once approved by supervisors, with local suppliers. Other logistical support duties as needed to ensure smooth operation of all trips. Physically capable of lifting up to 70 lbs. Thank you for applying to ROW Adventures!